It is definitely a really exciting moment to learn that your cat is pregnant but you should understand the fact that this also means that you are responsible for what will happen. Below you will find some really important tips that you have to always remember when faced with such a situation. When the cat is pregnant, you cannot simply have the same diet. A cat, just like a human, will require more nutrients during this period. Special accent is put on protein and calcium. Calcium deficiency will usually lead to eclampsia or milk fever. This is a life-threatening condition so you have to be careful. Any cat will be much more vulnerable when she is pregnant. You should never allow it to stay outside as the dangers that she normally faces there are doubled because of carrying offspring. Never let the feline friend stay outside as you never know exactly when labor can start. A pregnant cat needs and deserves privacy. 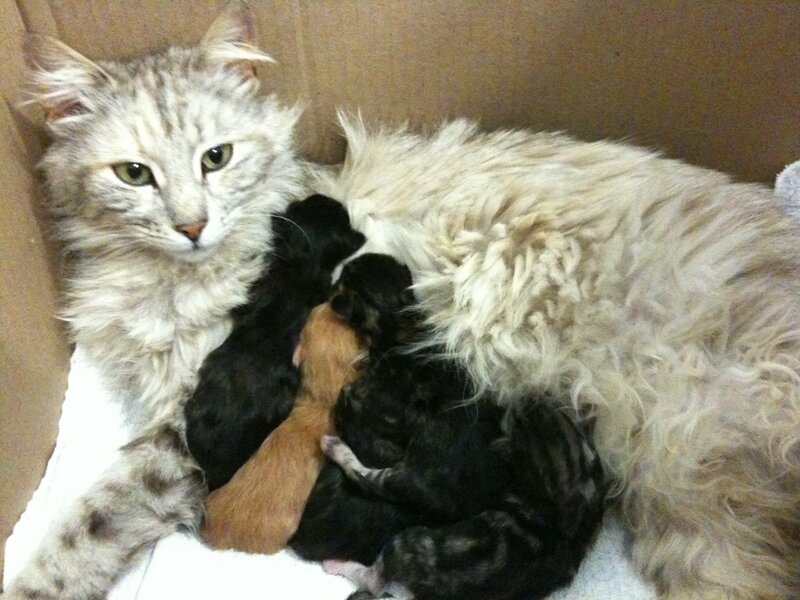 If there are other cats in the home, make sure that you find a way to isolate them from the pregnant one. This will avoid many serious problems that can appear. The pregnant cat needs a comfortable bed or nest. You can do this in many different ways. Some simply take a box and fill it up with towels or newspapers. This is actually a really good solution. What is important is to make sure that the new bed is available 2 weeks prior to the expected birth date. The vet will plan a series of routine check-ups and you have to respect them. Also, make sure that you go to the doctor as soon as you suspect a pregnancy to make sure that this is what you are dealing with. Cats have to stay healthy while pregnant and the vet can help with this while also answering absolutely all questions that you might have. Well, even when a cat is not pregnant you still need to keep your eyes on her but this becomes vital during pregnancy. This is simply because a pregnant feline is vulnerable. It is really important that you are there when she gives birth and take her to the vet whenever necessary. Contrary to what you might be tempted to believe, when talking about a pregnant cat, the Internet is not the best source of information. The vet is the person that you should go to whenever you have questions that need answers.